Welcome to the May Stamp-of-the-Month blog Hop! I say it every time, but this past month has just flown by and I can hardly believe it’s already May. We have lots of consultants participating this time again, and I’m happy to be back after a month away. If you came from Georgia’s blog, you’re on the right track. I used some of the leftover paper from the You and Me kit, CTMH’s special promotion this month to celebrate National Scrapbooking Month. I add some Mocha Opaques and Chocolate buttons with Colonial White waxy flax. The stitching is a stamp that comes with the You and Me set. ﻿The little flowers were stamped in a different way. I coloured the stamp with markers and then huffed on it before stamping. It looks mottled in a neat way. Here’s a close up of the chair and then I’ll explain the new technique I used. I learned a really neat way to create a suede-like feel and look on paper! It’s all about Liquid Applique and re-inker. Mix a good amount of Liquid Applique with re-inker the same colour as the paper. Smooth it out as much as possible. Then stamp your image with StazOn ink. Use your brayer to cover the paper with the mixture, then heat set. Cut out your image and voila! Enjoy the rest of the hop! Head on over to Angela’s blog. I’m sure you’ll love what she’s made! wonderful! I’ll have to try that technique – TFS! Your chair looks soft and fuzzy! I’ll have to try that technique! What an outstanding technique. I love the closeup. Beautiful card!! Neat idea Krista! I love this card! Glad to see the idea in use!! and love how you used it! Fantastic chair! Love the real upholstered look! 🙂 TFS the details! Lovely! I will have to try that technique! 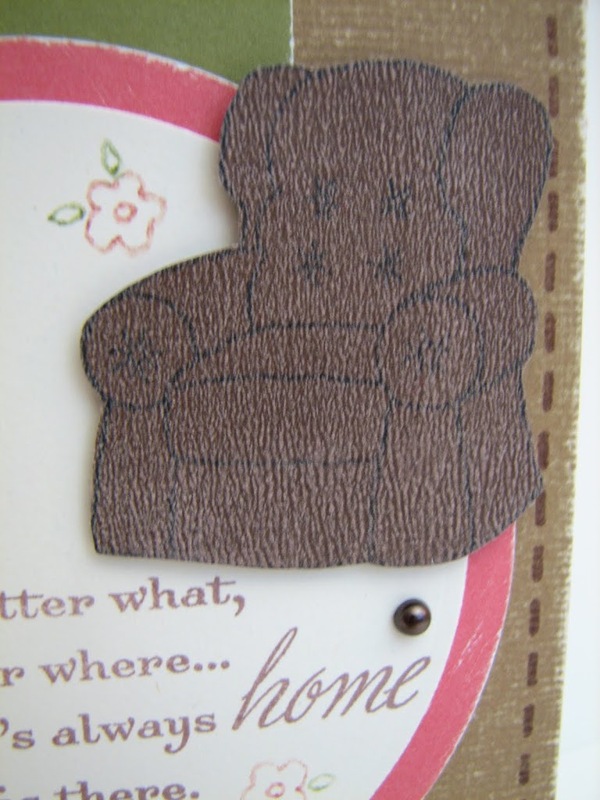 Very cool technique on that chair, and I love the entire composition and colors of your card. very cool idea! gonna have to try this!